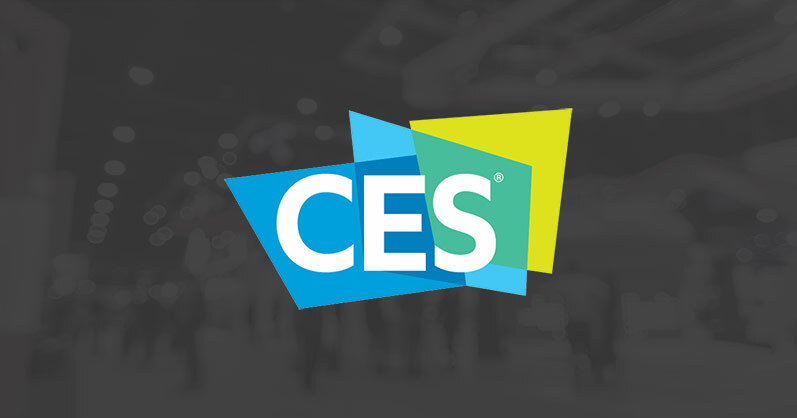 The Consumer Electronics Show is the year’s biggest event for innovations in consumer tech. This year’s event, CES 2019, just wrapped up this weekend. With more than 4500 exhibiting companies, there is always a whole lot to see. The main trends of this year’s show included: more integration of AI and machine learning, cloud-based everything, and, of course, robots everywhere. Coincidentally, many of these trends were reflected in our vision of the future of live streaming piece. 10G: possibly, the most misleading (or, rather, mis-named) trend of the year. “10G” causes you to immediately think of 5G cellular internet, doesn’t it? In reality these two concepts are not related. What 10G is actually referring to is “10 Gigabit Ethernet”. The Internet & Television Association (NCTA), CableLabs, and Cable Europe are joining efforts with internet providers to bring 10 Gigabit Ethernet to consumers. That’s right, ten gigabit per second speed using your Ethernet cable. This technology isn’t necessarily new – data centers have been using 10GbE cables for about a decade now. And yes, the “10G” is a misnomer by design: it is a sort of countermeasure to the whole “5G will replace cable” trend. The next generation of Wi-Fi came out in October of 2018 (this happens less often than you might think). The official name of the new standard is “IEEE 802.11ax,” but that’s a mouthful, so it’s been decided to start naming Wi-Fi generations using digits. Let us welcome Wi-Fi 6. Wi-Fi 6 promises higher speeds, better range, reduced battery demand, and more security compared the current 802.11ac (let’s call it Wi-Fi 5). TP-Link as well as a few others hopped on this and rolled out a number of new Wi-Fi 6-compatible networking devices at CES 2019. However, only a handful of unveiled laptops (and no tablets or smartphones) support Wi-Fi 6. Manufacturers promised to include Wi-Fi 6 compatibility in their new mobile devices this year, so we say don’t worry about Wi-Fi 6 just yet. 3) 5G is not yet ubiquitous, despite what AT&T says. It all started when AT&T decided to replace the 4G LTE icon with a 5G E icon on customers’ mobile devices, effectively (mis)leading them to believe that their device is now running on 5G. This caused a negative reaction from the consumers as well as other carriers. In a particularly humorous reaction from T-Mobile, the company suggests that they didn’t realize improving cellular technology was as easy as switching one icon for another (ironically pasting their own “9G” sticker onto a phone). AT&T, however, responded to all this outrage by saying that it “makes them smile” because, in their eyes, any publicity — is good publicity. Just a reminder: right now, 5G is still very limited. First off, you have to live in an area where 5G is currently being tested. Second, your device needs to be 5G-compatible. Experts say that we have to wait until 2022 for 5G to become fully operational in the US. A new standard of image compression, JPEG XS, was introduced at CES by a Belgian company called intoPIX. JPEG XS uses the multi-core parallel processing capabilities of modern CPUs to allow image encoding and decoding to happen faster. It is already generating interest across various industries such as industrial vision, broadcast, and professional AV. The new standard also promises to preserve quality with no latency, simplify connectivity, and save power. This could become a game changer for the potential JPEG XS applications: 8K displays, smartphones, autonomous vehicles, AR/VR, Internet of Things and 5G applications. TV innovation has been a major trend at CES in the recent years, and this year’s show was no exception. There was this magical LG OLED R TV that rolls up, the GE display/exhaust for your kitchen that can stream Netflix, as well as a whole bunch of new 8K TVs. But everyone seems to be particularly in love with Samsung’s MicroLED 75-inch 4K TV. Many say it’s a huge step into the future: this MicroLED display beats other OLED displays on every level, with none of the drawbacks. The new MicroLED offers amazing brightness, perfect blacks, and an incredibly wide HDR color palette. These inorganic LEDs don’t require backlight, which allows for super-thin displays. MicroLED also promises no burn-in and longer lifespan than OLED. 8K Hype side note: 8K TVs have also made a hot of noise at CES 2019, however, it might be a bit premature to invest in an 8K TV just yet. The reason behind this is the minuscule amount of actual 8K content available to the public at the moment. In addition, it’s really hard to tell the difference between 4K and 8K on TVs smaller than 60” (unless you’re looking from 2 ft away). Hotdog or not hotdog? Whirlpool says they have the answer. The company presented their countertop smart oven that uses a built-in camera and object recognition to identify the food inside it and set the temperature and cooking time accordingly. Whirlpool says the oven uses special food identification algorithms, but they are not quite willing to share them. The oven is Alexa and Google Assistant-compatible, which means you can use voice commands to control it. And of course, you can use the built-in camera to live stream the cooking process. Whirlpool unveiled another oven concept at CES 2019, where the oven glass is actually a transparent user interface (a.k.a. a touchscreen). Consumers will be able to order food delivery, search recipes, follow step-by-step cooking instructions (including video), and even zoom in on their food to check doneness! Amatuer video and audio creators are becoming more and more serious about the quality of content they produce. Youtube videos and podcasts alike look and sound more professional than ever. Following this trend, Blue announced their new $100 consumer-grade XLR microphone: Blue Ember. This very high quality condenser capsule cardioid mic was designed to be unobtrusive when streaming video online, and the XLR cable means you can plug it directly into an all-in-one live production studio like Pearl Mini and start streaming with great audio right away. We’ve been mentioning their Blue Yeti microphone model as one of the most popular and trusted out there in our articles on how to set up a video recording studio, which gives us a good reason to believe that the new Blue Ember model will be very popular amongst the serious content creators. DJI released their new smart controller with a built-in screen for their Mavic family of drones. As you probably already know, drone live streams are more popular than ever, and DJI is always trying to bring better products to their existing and future customers. The new smart controller features a built-in a 5.5 inch 1080p extra-bright display, making it possible to view your aerial footage and control the drone in direct sunlight. On top of that the remote controller boasts an 8-kilometer (4.97-mile) range. The only downside noted by experts is the non-removable battery that takes 2 hours to fully change. So even though the controller promises to last 2.5 hours on full charge, the pilot would have to either wait 2 hours after that to recharge, or buy an extra controller. ViShare Technology, a Hong Kong based video compression company, unveiled a 4K codec chip that enables wire-like streaming over Wi-Fi. ViShare’s VT4060 codec chip makes it possible to stream 4K/60fps videos over standard 5GHz Wi-Fi. The company promises just 16ms of end-to-end streaming latency. In the demonstration at CES 2019, the chip was able to compress 12Gbit 4K video down to 100Mbit. The latency involved in the compression itself was 8 milliseconds. ViShare’s codec is also able to adapt to Wi-Fi signal fluctuations which makes the stream highly stable. Besides Wi-Fi, the compressed video can also be sent over other wireless networks such as 4G/5G mobile network, 802.11ad, and OFDM, as well as wired networks such as Ethernet, HomePlug, and optical fibre, the company wrote in their press-release. All of this means that, in theory, the ViShare codec chip can be used to replace HDMI cables and stream 4K video wirelessly. Our personal favorite piece of CES news, and, perhaps, the most aesthetically pleasing new consumer product. This elegant wood block is also a smart home hub. The Japanese company Mui successfully raised over $110,000 for its Kickstarter last December, and were able to roll out a pretty good prototype this year. Mount it in your minimalist home to control temperature, learn weather, and other smart home commands. It uses IFTTT to connect to smart home devices like Sonos, Nest, and Philips Hue. Unfortunately, it still lacks a few important features, such as wake-up word functionality or even speakers, but Mui is continuing to work on the device, launching on Indiegogo InDemand this week. This will let Mui continue crowdfunding as they enter production. There we have it, our personal Top 10 live streaming and video production -themed CES news from 2019. What do you think? Did we get it right? Did we miss anything? What was your favorite piece of news from CES 2019? Please don’t hesitate to leave us a comment below!